Team cleaning is the new, efficient way to clean your home. Our teams will amaze you! EXPERIENCE COUNTS. S&L Team Cleaning knows the cleaning business. House cleaning and commercial cleaning are all we do and have been doing for over a quarter century. Schedule your own appointments, right on your phone! A local company, S&L team cleaning is not a national franchise. 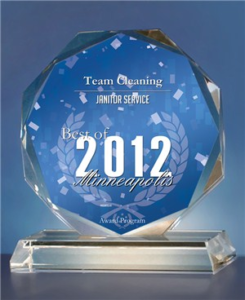 S & L TEAM CLEANING is a locally owned and operated cleaning business (since 1980), offering commercial, retail, apartment and residential cleaning for the Saint Paul and Minneapolis metro areas. Specializing in giving our customers personal service, S&L Team cleaning provides cleaning services that are professional, dependable and thorough. S & L Team Cleaning would like to be your one-stop janitorial company. S & L Team Cleaning offers quality that is consistently dependable, not only for the first few months, but for the duration of our assignment. Your complete satisfaction is very important to us. That is why we offer a 24 Hour Guarantee. If you are not completely satisfied with your cleaning, we will return within 24 hours to re-clean the area you are dissatisfied with. With the Holiday’s coming most people would like the help in getting their house ready for company. Thank you for letting us clean your house! We would like to keep you as a permanent customer . So we are offering the opportunity to sign up for weekly, bi-weekly or monthly cleaning for a Special Holiday House Cleaning price. We look forward to cleaning for you. Remember, we send out 2 people on each job. Ally People Solutions 50 Years from Triumph Pictures, LLC on Vimeo.